Today it has become a norm for the business to have a mobile app of their own. In fact, the market is flooded with the mobile apps and technologies in each industry, where everyone from small café owners to CTOs of the Fortune 500 companies owns an app of their own. So, if you are someone who is considering an app for your business in Singapore, then we say it is a brilliant idea and you must go ahead with it. Now a lot goes in the app development process, but the one question that pops in everyone’s mind as they think of creating a mobile app is, how much the app is going to cost. This is a big question and quite justifiable. For everyone who looking to get an app created for their business, they all want the mobile app to be relatively low-priced and still to be of high-quality. Be it UK, USA, Ukraine, or India, these are the mobile app development companies which startups and established firms all across the world look at to develop Android or iOS mobile applications. However, the app development cost varies at these locations widely, and also for the platforms you are looking to create the app for, whether its iOS or Android. If you are a Singapore-based business and looking to create an app, then this blog will guide you all along with a detailed understanding of the factors that affect the cost of a mobile application. There are several other factors too that affect the cost of the app, such as monetization strategy like the paid apps can be developed easily than the app that requires integrating in-app purchases. Also, more cost and time goes in the development of an e-Commerce app. This is a significant aspect of a business model ‘To know your customer’. Often you lose the focus on what your customers really need. Often these mistakes are even made by the big startups, for instance, we have Snapdeal, which compromised quality over the quantity and lost its customers trust. Due to this very reason, we saw a drop in its market share from one-fourth to 4 percent in a year. Hence you must strive to not commit it. Basically, you need to know the problem that your app will be solving. Through this question, you would be able to determine your target audience. Next comes the monetization strategy. First, let’s understand how e-commerce works. Well, it is a marketplace revenue model that is mostly based to sell their own products, or say earn commission from the sellers who are listed on their app. In the case of paid apps, they make money straightaway via downloads. This way it generates revenues or covers its development cost mainly as per the number of times the mobile app is installed. Out there in the market, one can easily find a number of paid apps, where the cost may vary. Hence, it is clear that setting the right price of your app ultimately determines holds the app would have on the market. While setting the price, do consider your audience’s willingness to pay for the app. Running a competitive analysis can also help. The free mobile apps are basically an amazing way to expand your current customer base or to even build a user base, which later on you can sell to. These mobile apps require trust building between the business and the customers, in order to build the value of existing products. Here the apps can generate direct revenue via advertising & affiliate marketing. The free app based on in-app purchases also has a way to generate direct revenue, mainly from addictive games. Ultimately, having a definitive model depend on your customers’ preferences and goals, but in any of the case, an app can prove to be extremely profitable. Basically, a mobile app is a software program that is developed to function on smartphones and tablets. They usually perform tasks similar to a website, but here the overall process is considerably user-friendly and way efficient. This is the reason a common phenomenon attached to the mobile apps, is “ease of use”. But keep in mind that all of the mobile apps are not same, and if you are looking for creating a mobile app in Singapore, then do keep in mind that there are three kinds of apps, i.e. Development procedure of these types of apps has been defined below. Web Applications: As per the research more than the 80 percent of smartphone users prefer mobile apps over the mobile websites, and thus web apps serve this purpose as they are basically your website which is optimized for mobile users. Native Applications: This kind of mobile app is created for particular operating systems, it could be iOS or Android, and it can be directly downloaded from the Google Play Store or Apple Store. Now native apps are certainly little more complex, but the user experience offered by them is absolutely matchless. They are required to be built separately for iOS & Android platform and require to be approved for being listed. Hybrid Applications: These apps are easier and simpler for mobile app experts and they function on a single programming language, as well as work on both the platforms. Their performance is mostly the same as native apps but is easier to manage and develop. Still, the user experience is a lot better on the native applications. These kinds of apps that come without the web servers don’t have the remote data servers. Quite often they display the information on the different lists. They have these dropdown menus (or say master table) enabling the users to pick from. After an option has been chosen by the user, s/he might be presented with a second list that is more specific. Here the user may keep on doing the same, till the time they land on that page consisting desired information. Usually, the tale functioning apps lie in the category of calendar apps, email apps, and diet planning apps. The app development cost of these apps usually falls between $1000-$4000. Adding more functionalities, like third-party integration (such as social media), or geolocation will add to the cost further. Here in this kind of apps, they house the app data on the remote data servers. The app data here transmits between the client side & server side. At the same time, these mobile apps enable users to carry out searches & input data in order to yield desired results. Now connecting the apps to the remote web servers needs more sophisticated programming, and also an API, thus the app costs are higher and might range between $8000-$50000. Even though the gaming apps are self-explanatory on their own, still it is tough to place a price tag here. Usually, this category consists of everything from the simple PONG kind functionality to these complex VR (virtual reality) games. For instance, the creator of ‘Flappy Hen’ app, which was a clone of this prominent game that is no longer available, Flappybird spend 40-50 hours to build the app. Calculating by the price of $150/hour, it takes the app cost to $6000-$7500. However, in case of the development of a racing game, using the gyroscope, it might easily cost around $125,000. Other of the common functionalities that add to app’s technical complexity and rake up the cost are admin dashboard, third-party app integrations, usage of the hardware components, like barometers, GPS, and Bluetooth. However, having a clear and exact idea of requirements helps in getting the most accurate cost estimate. Also, as you create your app’s MVP (Minimum Viable Product), ensure that you are considering the long-term app goals. Factors like, is this app going to be a backbone of your startup business, are you creating a simple prototype that in all probability will be rewritten later, needs to be considered before determining a cost estimate. Who is going to develop your Mobile app? This again is an important factor as you decide for create an app in Singapore, like who ultimately is going to create your app, whether it will be in-house developers, development agency, or freelance developers. Will hiring a full-time app development team for the MVP would be a worthy affair? Will it be a wise move to spend weeks and months finding an all-star developer for your MVP? Most certainly, the answer to these questions depend on the amount of funding that you have and also what are your long-term plans. However, in case of funding is an issue and you are time-constraint, then it is better to go for other viable options. App Development Firm: Hiring a Development firm is another option. There are a number of startups that go with the app development firms as they have a package deal. As you hire an app firm, you get a team of developers, designers, project managers, and QA testers. Also, these firms have a great amount of experience at developing apps and this would only add to the quality of your app. So, pretty obviously this tends to be the most preferred option, however, is the most expensive among them all. They may charge you anywhere from $200/hour-$300/hour. In case you are not having sufficient fund, then this option is not for you. At the same time, if you choose to take the firm-development app in-house, then you might experience more issues while following their development logic. Freelance App Developers: This is yet another prominent option which is also very affordable and you get the assistance of high-quality freelance developers who can create a quality app for your business. However, there are a few downsides here too, and to avoid commonly faced issues one must hire carefully vetted app developers, follow effective project management procedures and take care of the platform regulations, as this would prevent the app projects from being re-distributed. No matter who you may pick to work with, you certainly will be creating & sharing proprietary information and must go by proper legal protections. Here, the best way of safeguarding the trade secrets while working with the third-parties is using NDA (non-disclosure agreement). Also as you hire freelancers the cost could differ drastically according to the location of freelancers. What are you making – an Android or iOS app? 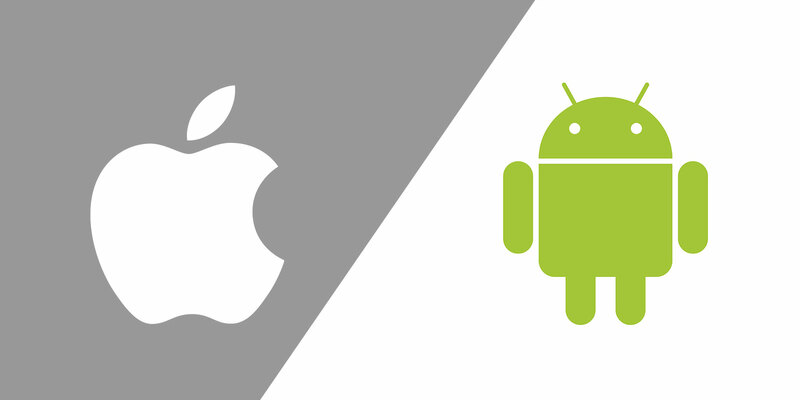 There is a constant debate to this issue about ‘which is more expensive to build Android or iOS apps’? No, yet no conclusion has been yet derived but views keep changing on the same. Some say Android apps cost extra as compared to iOS apps, while many over the other way around. Meanwhile, we have the examples of Twitter, Uber, Airbnb, & Facebook that claimed to have spent less money in the development of Android MVP applications, still, the truth is that cost per hour to develop Android & iOS apps are relatively same. But due to the fact that Android devices are wide in numbers and varying in terms of screen sizes, thus the development and design sides tend to be complex here when compared to iOS. This way, a time taken to create Android apps is two-three times longer as compared to the iOS mobile apps. Now upon multiplying the hourly rate by the time taken to develop the respective mobile apps, we can certainly say that Android apps are certainly more expensive to develop. This is the reason behind most firms first preferring to create iOS mobile apps prior to heading to Android applications. Yes, mobile apps also need to be maintained and timely upgraded as is the case with any software. Now the average industry cost of maintaining software is around 15-20% of the original development costing. However, to give an understanding of the maintenance cost, here we have broken in as per cost of hosting, engagement, monitoring, licensing, marketing, and updates. In case your mobile application design is integrated with the technologies for which the license needs to be paid, then the overall development cost of the app will also increase. Usually, an app’s license fee to pay depends on the annual fee to be paid. You must know that every app that has been ever released on any app store, be it Android, iOS, or Windows Phone gets updated frequently post its release. Now an actual update release on app store might take an hour, but the time is taken to create an update hugely varies and depends on the complexity of the app. Marketing cost of an app consists of activities that would increase user engagement with the mobile app. They consist of Cost Per Install (CPI), like in 2017, it was $1.91/install for Android and $1.24/install for iOS, then comes the cost of acquiring a loyal app user (begins from $2.78/user for iOS), and cost of acquiring a paying subscriber for the apps, which are based on subscription model (might go up to $160/subscriber). It is crucial to monitor a mobile app like its performance needs to be monitored by signing up for mobile analytics platforms. Now every app has its own audience and a widely variable number of users, hence it is difficult to get an estimate for application monitoring cost, however heading to the mobile analytics platforms you can determine expenses of app maintenance. For calculating mobile application backend data hosting cost, calculator created by Niko Nelissen, VP of Mobile, Data & Engagement e-touches event management software provider can be used. It calculates according to the bandwidth per MAU, bandwidth per user, backend requests cost & more. It calculates the cost both in euro and USD. A lot of factors need to be considered by a business to determine the overall cost of an app, and if you are looking to create a mobile App in Singapore, then the common factors that would play a role are a location of development team and complexity of the mobile app. As both Android and iOS platform enjoy massive user base, thus it is beneficial for businesses to create the app for both the platforms. At the same, efforts need to be made to save cost on aspects like scalability, third-party app integrations, data storage, in case options are available to pick from. How to develop a Video Editing App? How Much Does Augmented Reality App Development Cost? Mobile Apps vs. Mobile Websites… What will you opt for? How to Develop Fleet Management Mobile App?